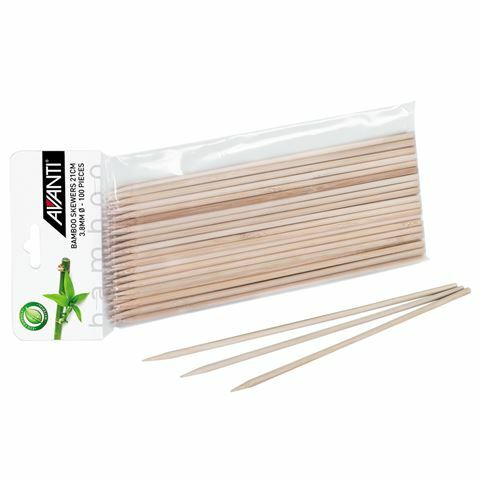 Thanks to our continued love affair with Asian food, Avanti has come to the rescue with a set of pristine skewers, so you can construct anything from BBQ prawns with a spicy sauce to something even more complex. The skewers are made from very smooth bamboo and designed to easily thread through your ingredients. For best results soak in water 20 minutes prior to use to prevent skewers burning.